A company limited by guarantee and having a share capital. In the case of a company limited by guarantee, whether or not having a share capital, at least one of its members shall be a guarantee member and where the company has a share capital, a guarantee member may also be a shareholder. Seychelles Company Incorporation – Restrictions on incorporation. A company shall not be incorporated under International Business Companies Act unless immediately upon its incorporation the company is an International Business Company. foundation services as defined in the International Corporate Service Providers Act, 2003.
it operates as a mutual fund under the Mutual Fund and Hedge Fund Act, 2008. A member, director, officer, agent or liquidator of a company incorporated under International Business Companies Act shall not be liable for any debt, obligation or default of the company unless it is proved that he did not act in good faith or unless it is specifically provided in this Act or in any other law for the time being in force in Seychelles and except in so far as he may be liable for his own conduct or acts. 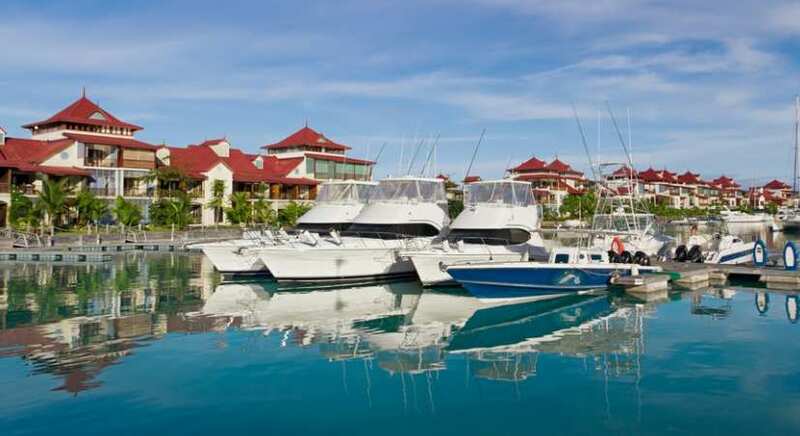 A company may be incorporated under this Act for any object or purpose not prohibited by this Act or by any other law for the time being in force in Seychelles. – protect the assets of the company for the benefit of the company, its creditors and its members, and at the discretion of the directors, for any person having a direct or indirect interest in the company. The name of a company may be expressed in any language but where the name is not in a national language a translation and transliteration of the name in English or French shall be given. is indecent, offensive or, in the opinion of the Registrar is otherwise objectionable or misleading or being confused with another company wherever registered, or is a registered trademark in Seychelles or elsewhere, or a product. A company may amend its Memorandum to change its name. A company shall at all times have a registered office in Seychelles which shall be the same address as that of its registered agent. The directors of the company may change the address of the registered office of the company, which change shall be notified to the Registrar. Where a company has not been struck off prior to the International Business Companies (Amendment) Act 2011, the company shall comply within three months of the commencement of this Act. A company shall at all times have a registered agent in Seychelles who is licensed to provide international corporate services under the International Corporate Service Providers Act, 2003. An Application made or a document required to be submitted to the Registrar, shall be made or submitted through the registered agent who shall verify in writing the signature of any person appearing on the application or document. The registered agent shall accept service on behalf of the company of any notice by the Registrar, and any service of such notice accepted by its registered agent shall be deemed to have been accepted by the company. Seychelles Company Incorporation. Subject to any limitations in its Memorandum or Articles, the business and affairs of a company shall be managed by a board of directors that consists of one or more persons who may be individuals or companies. The first directors of a company shall be elected by the subscribers to the Memorandum; and thereafter, the directors shall be elected by the members for such term as the members may determine and where permitted by the Memorandum or Articles of a company, the directors may also elect directors for such term as the directors may determine. Each director holds office until his successor takes office or until his earlier death, resignation or removal or in the case of a company upon the making of an order for the winding up or dissolution of the company or upon the removal of a defunct company otherwise than pursuant to a winding-up order. a director may resign his office by giving written notice of his resignation to the company and the resignation has effect from the date the notice is received by the company or from such later date as may be specified in the notice. Subject to any limitations in the Memorandum or Articles, a vacancy in the board of directors may be filled by a resolution of members or of a majority of the remaining directors. The number of directors shall be fixed by the Articles and, subject to any limitations in the Memorandum or Articles, the Articles may be amended to change the number of directors. The directors shall have all the powers of the company that are not reserved to the members under this Act or in the Memorandum or Articles. Subject to any limitations in the Memorandum or Articles, the directors may, by are solution of directors, fix the emoluments of directors in respect of services to be rendered in any capacity to the company. The directors may, by a resolution of directors, designate one or more committees, each consisting of one or more directors. Subject to any limitations in the Memorandum or Articles, each committee has such powers and authority of the directors, including the power and authority to affix the common seal, if any, of the company, as are set forth in the resolution of directors establishing the committee, except that no committee has any power or authority with respect to the matters requiring a resolution of directors. Subject to any limitations in the Memorandum or Articles, the directors of a company incorporated under this Act may meet at such times and in such manner and places within or outside Seychelles as the directors may determine to be necessary or desirable. all directors participating in the meeting are able to hear each other and recognise each other’s voice and for this purpose participation constitutes prima facie proof of recognition. Subject to a requirement in the Memorandum or Articles to give longer notice, a director shall be given not less than 2 days notice of meetings of directors. Notwithstanding subsection but subject to any limitations in the Memorandum or Articles, a meeting of directors held in contravention of that subsection is valid if all the directors, or such majority thereof as may be specified in the Memorandum or Articles entitled to vote at the meeting, have waived the notice of the meeting; and for this purpose, the presence of a director at the meeting shall be deemed to constitute waiver on his part. The inadvertent failure to give notice of a meeting to a director, or the fact that a director has not received the notice, does not invalidate the meeting. The quorum for a meeting of directors is that fixed by the Memorandum or Articles; but where no quorum is so fixed a meeting of directors is properly constituted for all purposes if at the commencement of the meeting one half of the total number of directors are present in person or by alternate. Subject to any limitations in the Memorandum or Articles, an action that may be taken by the directors or a committee of directors at a meeting may also be taken by a resolution of directors or a committee of directors consented to in writing or by telex, telefax, telegram, cable or other written electronic communication, without the need for any notice. The directors may, by a resolution of directors appoint any person, including a person who is a director, to be an officer or agent of the company. Subject to any limitations in the Memorandum or Articles, each officer or agent has such powers and authority of the directors, including the power and authority to affix the common seal, if any, of the company, as are set forth in the Articles or in the resolution of directors appointing the officer or agent, except that no officer or agent has any power or authority with respect to the matters requiring a resolution of directors under section 45 and this section. The directors may remove an officer or agent appointed and may revoke or vary a power conferred on him. Every director, officer, agent and liquidator of a company incorporated under this Act, in performing his functions, shall act honestly and in good faith with a view to the best interests of the company and exercise the care, diligence and skill that a reasonably prudent person would exercise in comparable circumstances. Every director, officer, agent and liquidator of the company, in performing his functions is entitled to rely upon the Share Register, the books of accounts and records and the minutes and copies of consents to resolutions and any report made to the company by any other director, officer, agent or liquidator or by any person selected by the company to make the report. The decision of the directors as to whether the person acted honestly and in good faith and with a view to the best interests of the company and as to whether the person had no reasonable cause to believe that his conduct was unlawful is, in the absence of fraud, sufficient for the purposes of this section, unless a question of law is involved.